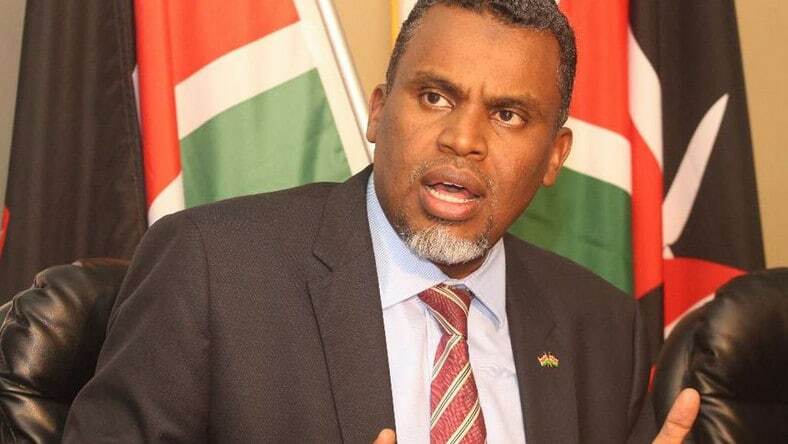 Director of Public Prosecution Noordin Haji has constituted a team of prospects to review files of five top Kenyan banks believed to have concealed, facilitated and abetted Ksh9 billion NYS scam. In a statement on Thursday, Haji noted that investigators drawn from the office of the Director of Criminal Investigation (DCI) found out that Kenya Commercial Bank, Standard Chartered Bank, Equity Bank, Cooperative Bank and Diamond Trust Bank were involved in the scandal. “The DCI has today forwarded the investigation files relating to the commercial banks with recommendations,” said Haji. The DPP further revealed that DCI asked that charges be preferred against the banks, bank officials, individuals and entities involved in concealing, facilitating, aiding, abetting and benefiting from proceeds of the crimes. According to Haji, the investigations revealed that KCB received Sh800 million but Sh148,397,000 was transacted by bank officials without following set regulations. On the other hand, Standard Chartered Bank received Sh1,628,902,000 between January 2016 and April 2018. Out of the amount, the investigators established that Sh588,558,000 was suspiciously transacted by bank officials and no report was made to the financial reporting centre. The report further indicates that Equity Bank received Sh886,426,904 out of which it was established that Sh264,200,000 and Sh5,808,671 was suspiciously transacted by officials of the bank in violation of the law. Diamond Bank is also said to have received Sh250 million. Investigators noted that Sh25 million was suspiciously transacted through the bank. The new team is expected to come up with recommendations within a period of fourteen days to inform further action on the mentioned banks.